This procedure involves implanting a device that mimics the function of the LES (Lower Esophageal Sphincter). 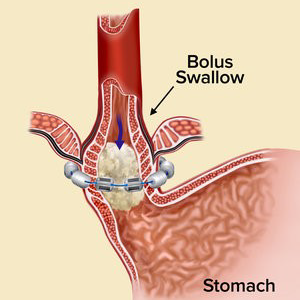 Using minimally invasive technique, a string of magnets is placed around the esophagus and then joined together. The new magnetic ring creates a new sphincter that eliminates acid reflux. 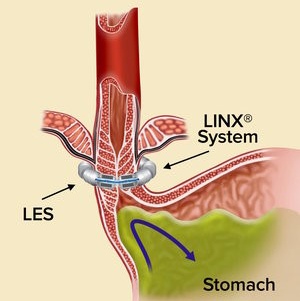 LINX varies from traditional surgeries for acid reflux, such as fundoplications, which change the patient’s anatomy to create a new sphincter to control reflux.